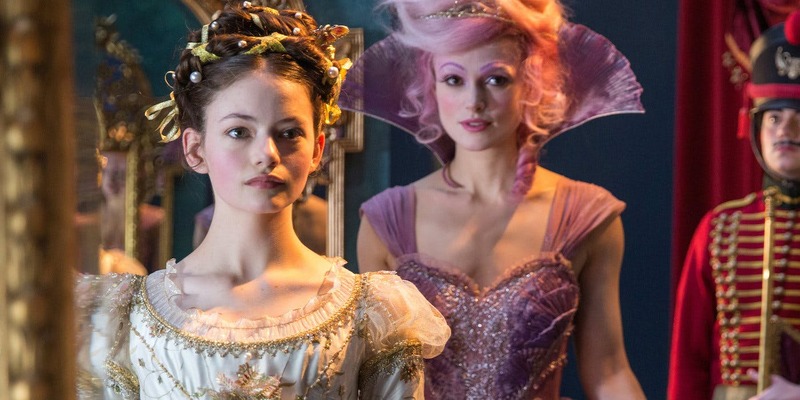 The Nutcracker and the Four Realms is the first of Disney’s big Christmas instalments for 2018. Following the story of Clara, a young wannabe engineer, who stumbles into a magical world on Christmas Eve where she discovers that her recently deceased mother was the crowned Queen. Sadly since her mother’s absence, the realms have been at war and it is up to Clara to restore the world to the peace her mother would have wanted. But can she thwart the plans of Mother Ginger and her mouse army? Is the Sugar Plumb Fairy really as sugar sweet as she appears? And, most importantly, will she be able to make it back to her own world in time to reconcile with her family for Christmas? Though the story is inspired by the ballet, The Nutcracker this is an entirely new story here all of its own which is very much in keeping with Disney’s ability to build charming and vast new world. The opening sequence will have you longing for the Christmas season as a bird’s eye view of a CGI Victorian London on Christmas Eve is truly stunning to watch. The costumes are sumptuous and a huge amount of imagination has gone into creating the Four Realms and its inhabitants. Yet sadly, the plot falls short of the visuals. There are a lot of cheap gags and a story line that is hugely predictable from the get-go and lets down the overall feel of the piece. Clara is played with beautiful sincerity by young actress Mackenzie Foy, who is known as the daughter of broody vampire lovers in the Twilight series. She has a real presence on screen and drives the idea that a Disney female lead can be smart as well as beautiful. There is a lot of “girl power” moments here where Clara saves the day by using her superior intellect instead of the brute force proposed by others and to be honest in this day and age this kind of representation isn’t a bad thing at all. Fans of the Ballet will enjoy the few and infrequent references to the original with a fantastic sequence involving prima ballerina Misty Copeland doing what she does best. There is magic here, but sadly it falls short of what Disney has been known to achieve. Overall, the film is a bit like the candyfloss on top of the Sugar Plum Fairies head, a lot of sugar but very little of substance. If you are looking for a fun family film that will help you slip into that post-Christmas dinner coma, this is the film for you.